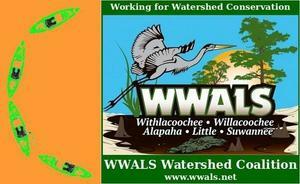 Here are the winners of the WWALS Boomerang paddle race, from Georgia at State Line Boat Ramp in Lowndes County past Brooks County, into Madison and Hamilton County, Florida and back again. Everybody had fun and wants to do it again next year. We’re thinking of billing it also as a Georgia-Florida contest. Lots more pictures and videos are being posted. This entry was posted in Blueway, Boomerang2018 and tagged Blueway, Bobby McKenzie, Boomerang, Boy Scouts of South Georgia, Bret Miller, Bret Wagenhorst, Brooks County, Chip Battle, conservation, Dallas Bush, Dan Phillips, Dylan Phillips, Eliza McKenzie, Florida, Georgia, Girl Scouts of Historic Georgia, Hamilton County, Jaree Bush, Jessica Gault, Keep Lowndes-Valdosta Beautiful, KLVB, Lowndes County, Madison County, Myron McKenzie, north Florida, NWXpeditions, Peyton McKenzie, Phil Hubbard, river, Sara Jay, Scotti Jay, Shirley Kokidko, south Georgia, South Georgia Photography Fanatic, State Line Boat Ramp, Suwannee Riverkeeper, The Salty Snapper, Tom Potter, UPS Store, Valdosta-Lowndes County Parks and Recreation Authority, VLPRA, VSU CORE, watershed, Withlacoochee and Little River Water Trail, WLRWT, WWALS, WWALS Watershed Coalition, YMCA, Zavier McKenzie on November 7, 2018 by jsq. 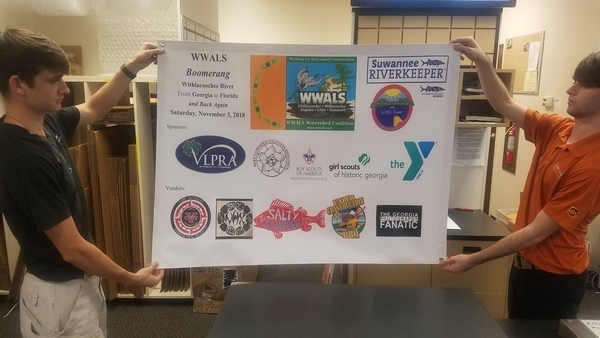 The WWALS Boomerang banner shows the sponsors and vendors for 11AM tomorrow morning, Saturday, November 3, 2018, at State Line Ramp (Mozell Spells, 6461 Madison Hwy, Valdosta, GA 31601). Paddle with us from Georgia into Florida, and back again! 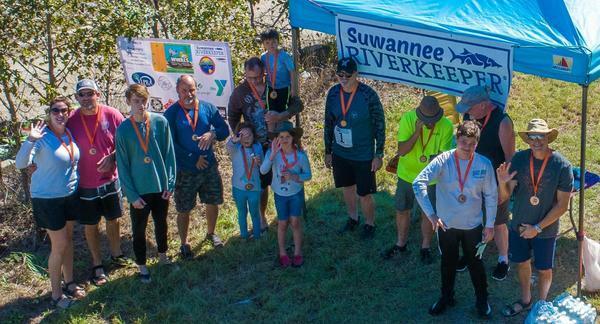 This entry was posted in Blueway, Boomerang2018, Outing, River and tagged banner, Blueway, Bobby McKenzie, Boomerang, Boomerang2018, Boy Scouts, conservation, George Page, Georgia, Girl Scouts, Gornto Road, Langdale Park, Langdale Park Boat Ramp, Lowndes County, north Florida, North Valdosta Road, Outing, Outings Committee, river, Salty Snapper, south Georgia, Sugar Creek Landing, Suwannee Riverkeeper, The Georgia Photography Fanatic, Under Construction BBQ, UPS Store, US 41 North, Valdosta-Lowndes County Parks and Recreation Authority, VLPRA, watershed, Withlacoochee and Little River Water Trail, Withlacoochee River, WLRWT, WWALS, WWALS Watershed Coalition, YMCA on November 2, 2018 by jsq. Join us for a fun filled day of paddle racing and leisurely paddling on an idyllic blackwater river. Yes, we’ve moved downstream, to plenty of water, no deadfalls, plus shoals, in two states (Georgia and Florida) and four counties (Lowndes, Brooks, Madison, and Hamilton)! Follow this link for a printable PDF flyer. Or this link for the same flyer 2 per page. Event: facebook, meetup, but don’t forget to get tickets! We also recommend you support the work of WWALS by becoming a WWALS member today! 6461 Madison Hwy, Valdosta, GA 31601. Tallahassee 70, Gainesville 108, Jacksonville 120. 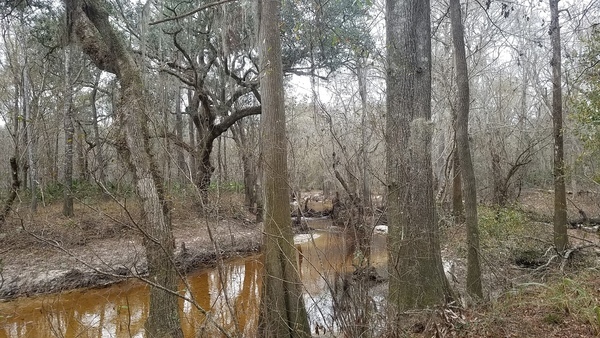 This entry was posted in Blueway, Boomerang2018, Outing, River and tagged Blueway, Bobby McKenzie, Boomerang, Boomerang2018, Boy Scouts, conservation, George Page, Georgia, Girl Scouts, Gornto Road, Langdale Park, Langdale Park Boat Ramp, Lowndes County, north Florida, North Valdosta Road, Outing, Outings Committee, river, Salty Snapper, south Georgia, Sugar Creek Landing, Suwannee Riverkeeper, The Georgia Photography Fanatic, Under Construction BBQ, US 41 North, Valdosta-Lowndes County Parks and Recreation Authority, VLPRA, watershed, Withlacoochee and Little River Water Trail, Withlacoochee River, WLRWT, WWALS, WWALS Watershed Coalition, YMCA on October 28, 2018 by jsq. Update 2018-10-28: Now at State Line Ramp! Yes, we’ve moved downstream, to plenty of water, no deadfalls, plus shoals, in two states (Georgia and Florida) and four counties (Lowndes, Brooks, Madison, and Hamilton). 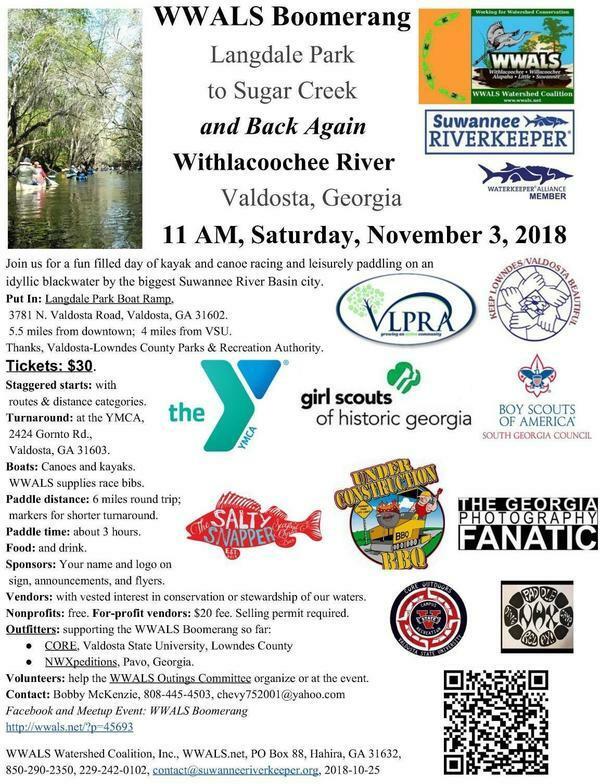 Join us for a fun filled day of kayak and canoe racing and leisurely paddling on an idyllic blackwater river by the biggest Suwannee River Basin city. 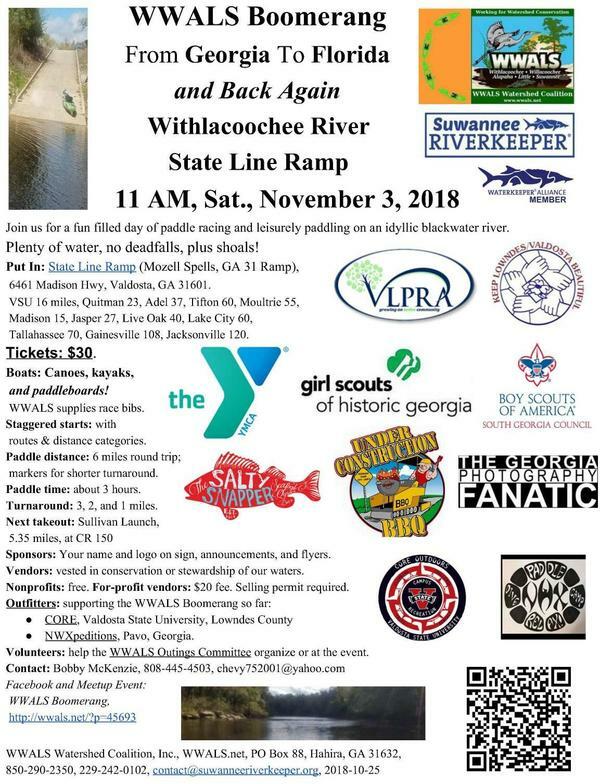 New sponsors: the YMCA on Gornto Road, and the Girl Scouts of Historic Georgia, with aerial drone photography by The Georgia Photography Fanatic, and food by Under Construction BBQ, plus at the turnaround walk up to The Salty Snapper. 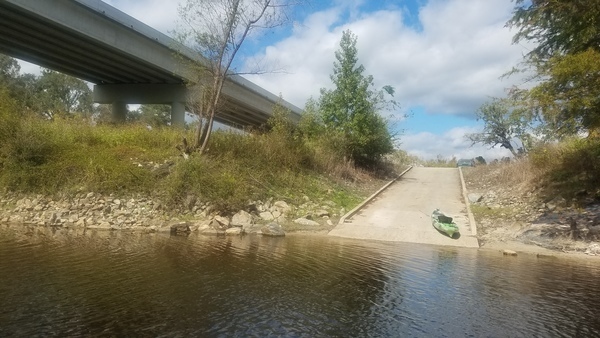 This entry was posted in Blueway, Boomerang2018, Outing, River and tagged Blueway, Bobby McKenzie, Boomerang, Boomerang2018, Boy Scouts, conservation, George Page, Georgia, Girl Scouts, Gornto Road, Langdale Park, Langdale Park Boat Ramp, Lowndes County, north Florida, North Valdosta Road, Outing, Outings Committee, river, Salty Snapper, south Georgia, Sugar Creek Landing, Suwannee Riverkeeper, The Georgia Photography Fanatic, Under Construction BBQ, US 41 North, Valdosta-Lowndes County Parks and Recreation Authority, VLPRA, watershed, Withlacoochee and Little River Water Trail, Withlacoochee River, WLRWT, WWALS, WWALS Watershed Coalition, YMCA on October 25, 2018 by jsq. A leisurely two-mile morning paddle from the recently reopened Langdale Park on the largest river through the biggest city in the Suwannee River Basin, arriving at the recently rediscovered Sugar Creek Landing, well in time for the Suwannee Riverkeeper Songwriting Contest in the afternoon. Put In: Langdale Park Boat Ramp, 3781 N. Valdosta Rd., Valdosta, GA 31602. Take Out: Sugar Creek Landing, 2410 Gornto Rd, Valdosta, GA 31602, recently rediscovered next to the YMCA, and just across the railroad tracks from The Salty Snapper, venue of the Suwannee Riverkeeper Songwriting Contest. Bring: the usual personal flotation device, boat paddles, food, drinking water, clothes, and first aid kit. Also trash pickers and trash bags: every WWALS outing is also a cleanup. If you don’t have a boat, let us know; we may able to loan you one. Langdale Park Boat Ramp, 1 November 2017, when the water was much lower. This entry was posted in Outing and tagged Bobby McKenzie, conservation, Gornto Road, Langdale Park, Langdale Park Boat Ramp, north Florida, Outing, river, south Georgia, Sugar Creek, Sugar Creek Landing, Suwannee Riverkeeper, Suwannee Riverkeeper Songwriting Contest, The Salty Snapper, watershed, Withlacoochee and Little River Water Trail, Withlacoochee River, WLRWT, WWALS, WWALS Watershed Coalition, YMCA on June 19, 2018 by jsq. 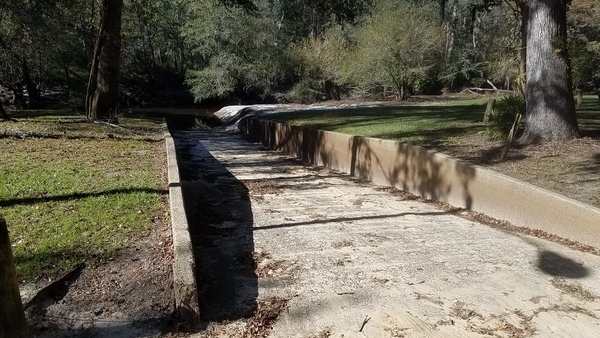 It could use some markers to keep people on it and off private property, and maybe some loaner kayak wheels, but there is public access to the Withlacoochee River off of Gornto Road in Valdosta. This entry was posted in Blueway, Quality, Quantity, River, VWW and tagged Andy Gibbs, beaver, Blueway, Bobby McKenzie, bridge, Cheryl Maddox, conservation, cypress knees, deadfall, fallen tree, flood plain, flooding, force main, Georgia, Gornto Road, John Gayle, John S. Quarterman, levee, Lowndes County, Norfolk Southern Railroad, north Florida, pump station, quality, Quantity, railroad, river, Sidney Rigdon, south Georgia, Sugar Creek, Suwannee Riverkeeper, titi, Tom Potter, U.S. Army Corps of Engineers, USACE, Valdosta, VWW, watershed, WWALS, WWALS Watershed Coalition, YMCA on January 29, 2018 by jsq.